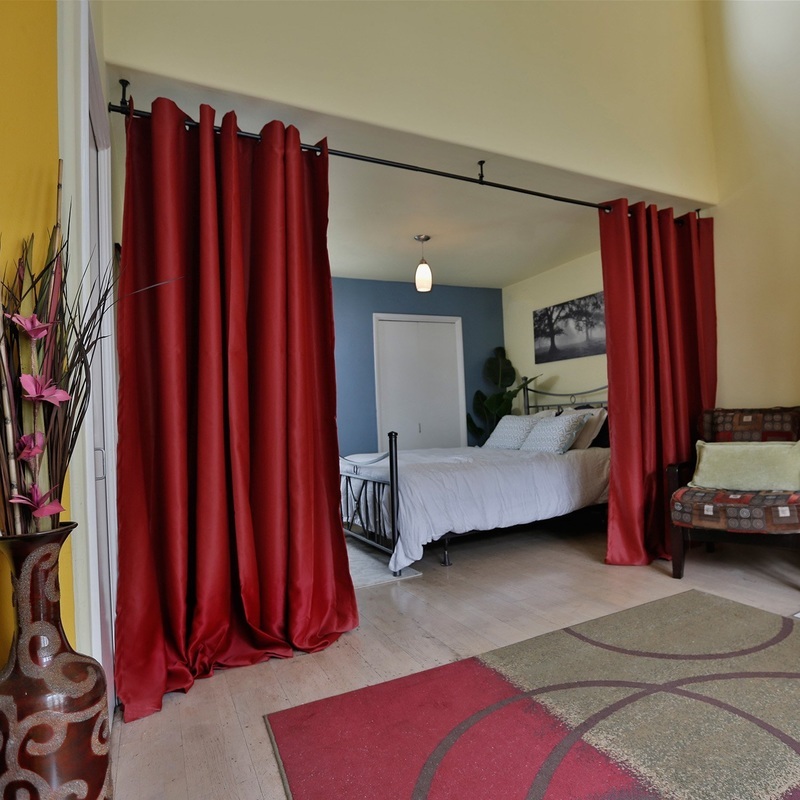 Not all bedrooms have closets, many of the older homes do not have one at all. 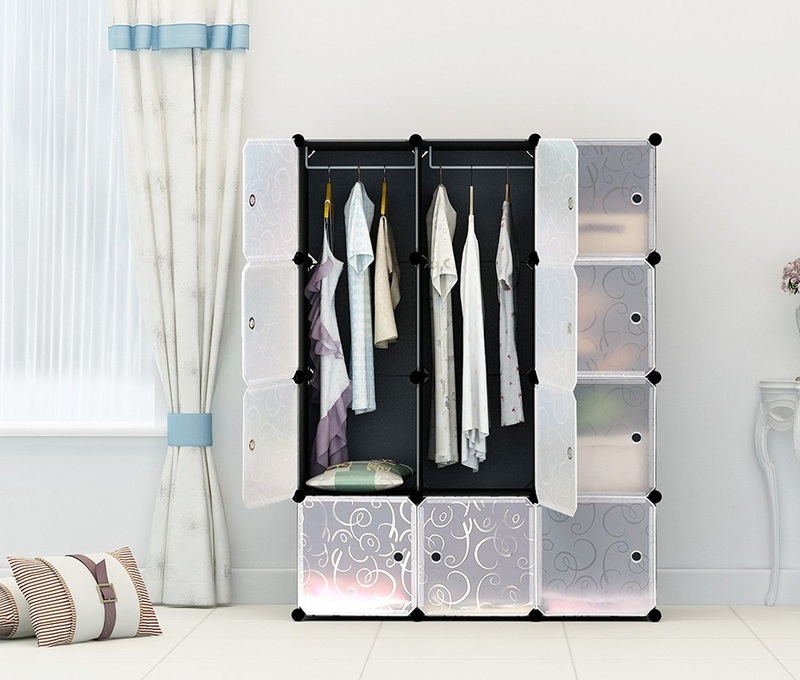 So what can you do if you need space to hang your clothes and store a few things? Portable Closets. ​Depending on your budget, you can get many different styles, but you can also create a storage area yourself with room dividers. Portable closet storage ideas. I like the idea of this one because it is affordable (under 100 bucks) and it also has doors on the cubes which make it great for storage with no worries of dust and keeps the room clean and clutter free looking. Sleek design is easily put together and taken apart when you move. Great for extra storage too. 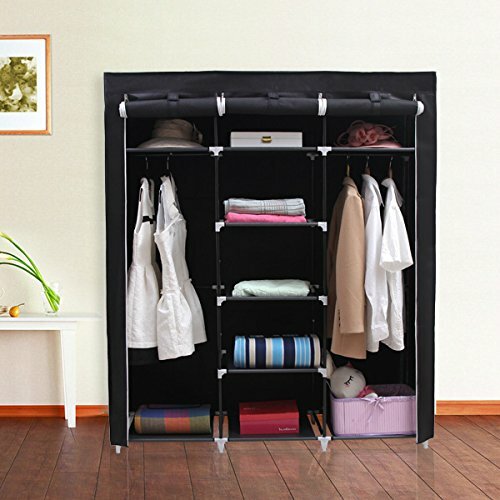 This frame is covered in black fabric with a roll up door to leave your portable closet open or simply drop the door if you don't want your things seen. Holds a lot of clothes and shelves for other items. This is another fabric covered portable closet that is 67 inches wide and loaded with shelves but also includes side pockets on the outside. This too has a roll down or up front door to leave your closet ready for use or to hide when not in use. 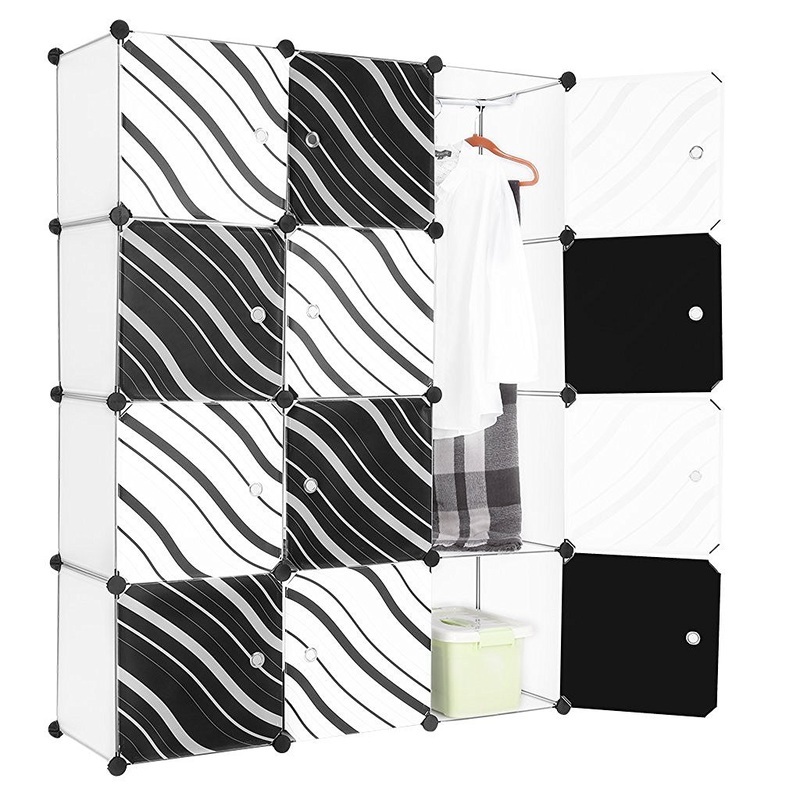 Each one of these cubes has a translucent zebra striped plastic door to keep dust out and also add some whimsy and décor to your room. If you love zebra stripes then this would be a fun addition to your room. Lots of storage and totally affordable at 50 dollars. Think of the things you could hide. Would be great for any room. Only 14 inches deep so does not need a lot of depth. 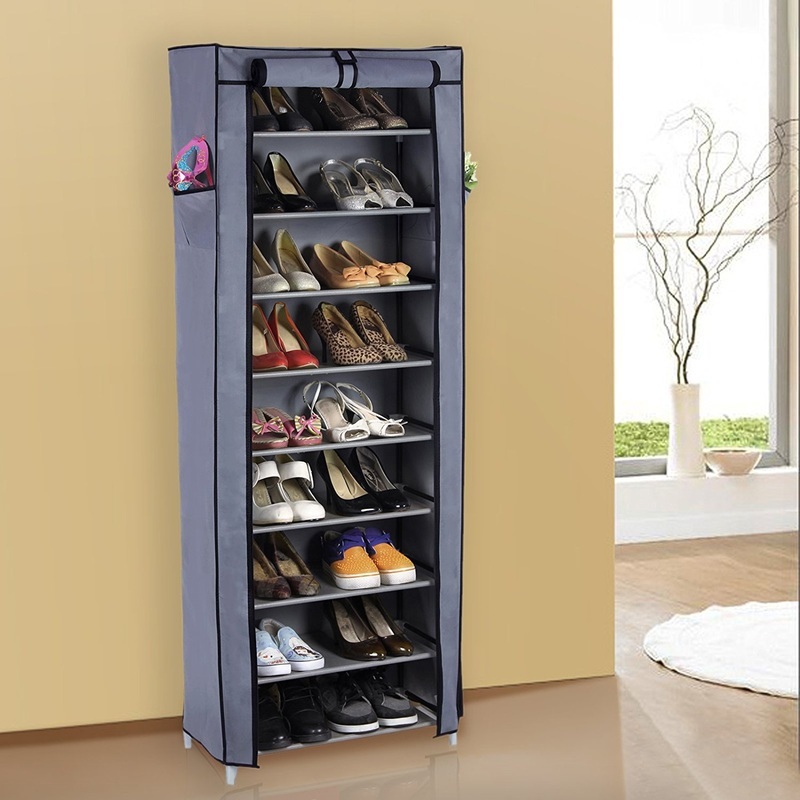 If shoes are your biggest problem when it comes to closet space, you can also get these portable closets that are simply designed for shoes. It is an affordable way to lay out all your foot wear, with a roll up door that can leave them on display or hide them. This gets them out of your clothes closet and makes it easier to pick a pair. There are also side pockets on this unit. At under 30 dollars this is an affordable way to get those shoes off the floor and on display an make it easier to get dressed and ready to go each day. 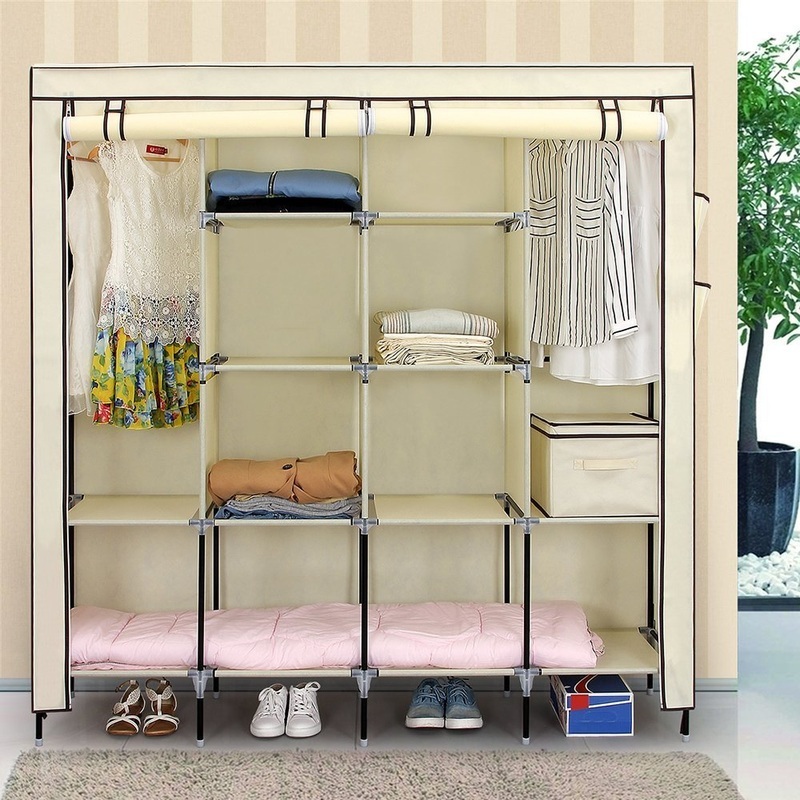 ​You could purchase this to stand beside other portable closets and create the perfect bedroom from a plain no closet room. 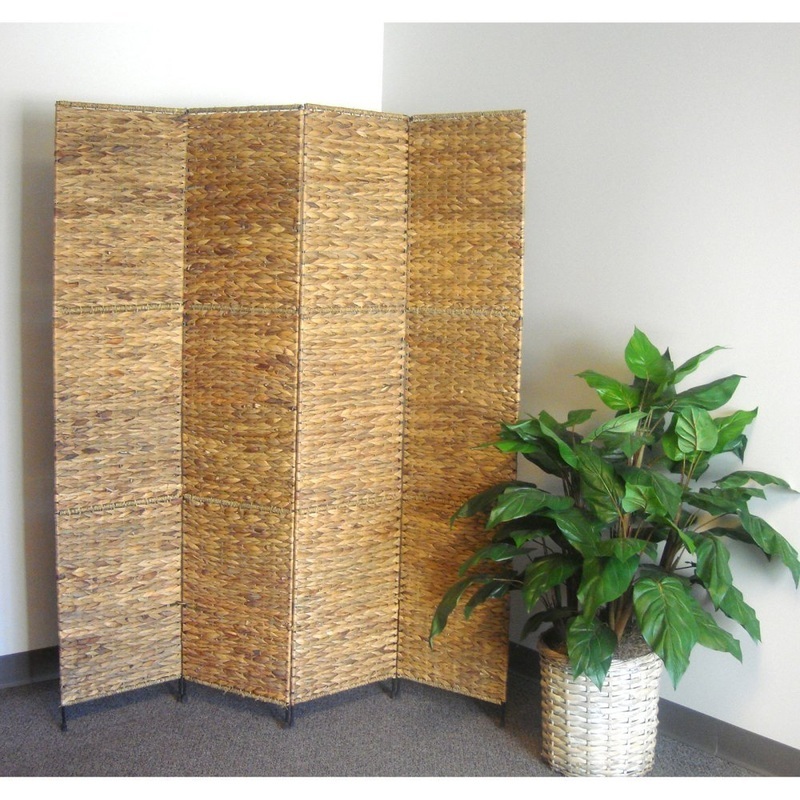 If you are trying to split up a room without adding a wall whether to separate beds or to make one area a larger walk in closet, you can get these room divider kits, that can instantly wall off an area for privacy but also looks good. These come in different sizes and are another option. This one does require some installation so if you rent you will need to check with your landlord. This one above has a beautiful picture on it. If you want to separate off an area of your room, it might be nice to show it off as artwork. I think this would brighten up any room. You could separate your home office this way or even hide all your clothes or shoes or storage bins. This will add some pizzazz to any room. If you prefer something plainer check the one below. If you want a super easy solution to blocking off an area from sight for maybe storing bins or even an open rack of clothes, you can use a room divider such as this one. ​Another option it to put a couple of these across a wall to block off a foot or two and store everything in there are even to create a corner office. 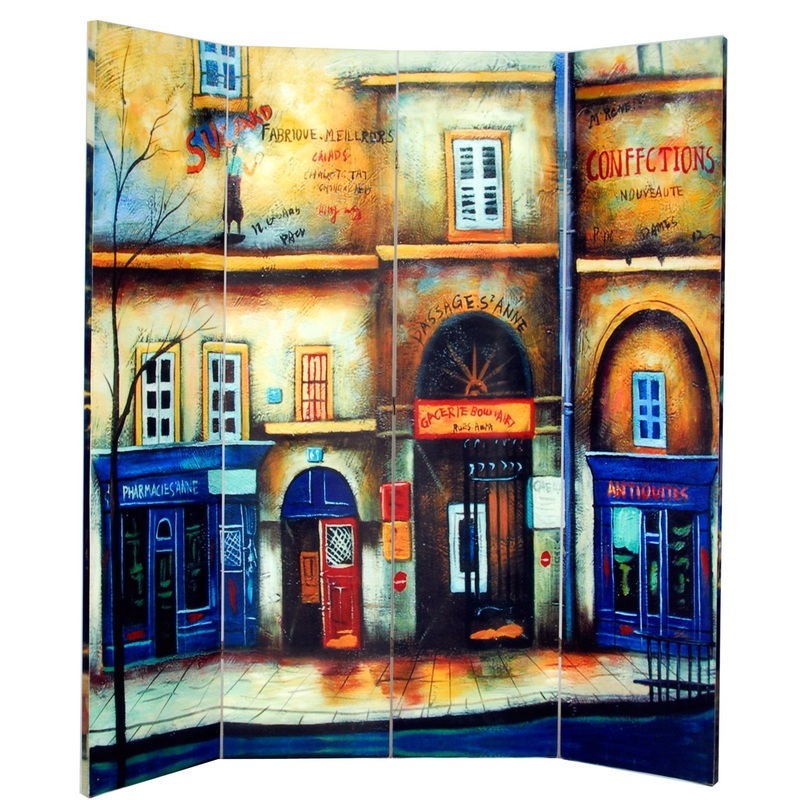 These simple yet nice looking dividers can turn any space into another room. ​By adding any of these portable closet ideas, or room dividers or even the heavy curtain idea you can turn a simple plain basement room, or any room into an instant bedroom without construction or renovations. These portable options are good looking and get the clutter off the floor. If you have a lot of storage you could also utilize the space under the bed with affordable storage bins designed just for that space. Also if you don't have the room for a night stand you can use a bed caddy for some storage too. ​You don't have to invest much money to create these instant storage areas and if you rent your space these can be simply taken apart and moved easily. ​There are so many cool ways to organize your bedroom now, or actually any room without major renovations, and I know if you rent your space it can be hard to make a plain room work, so using these portable and affordable options will help streamline your things and help with clutter which makes you feel less stressed especially when getting ready in the morning.